It was, of course, only a matter of time until motorcycle designers picked the all-new BMW G310R and ran it through various types of metamorphosis. The first rendering arrives from Italy and bears the signature of Oberdan Bezzi aka Obiboi. 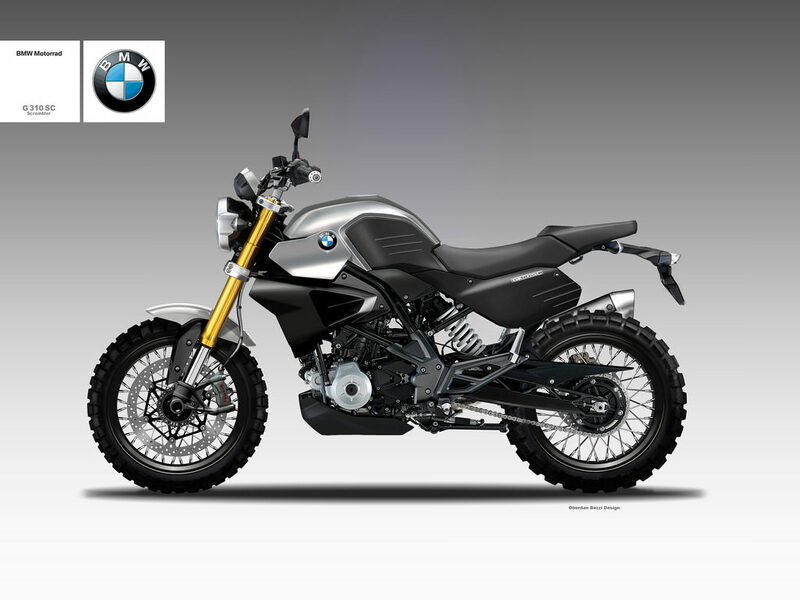 Should BMW heed Bezzi's "digital advice," the G310SS, with SC obviously standing for "Scrambler," could become the iconic representation of a baby-scrambler class that could be populated relatively soon with bikes coming from numerous manufacturers. Ducati has already taken steps in this direction with their new Scrambler 400 machine, but this represents only scratching the surface regarding the potential of the segment. For starters, the first strong selling point for a bike like that imagined by Bezzi is the fact that it is a BMW, and a much more affordable one, too. The financial aspect is very important when we are dealing with beginner bikes, and a machine that comes with the BMW badge and a low price is a sure shot at glory. Then comes the sheer functionality of a bike that can tackle both city strolls and dirt sections. Now, maybe the knobby tires in the rendering are a tad too radical, and take the G310R too deep into off-road territory. Plain dual-sport tires could do even better, both offering a smoother ride when slicing the urban clutter and providing enhanced grip on hard-packed roads, on gravel and dirt. Bezzi's rendering takes multiple elements inspired from the R nineT machine, but this is rather a plus than a minus. The R nineT is a well-established bike in BMW's roster and its looks and vibe helped zie Germans push quite a lot of units since the model was introduced. The bash plate on the rendered motorcycle is a sign of a mature, functional design idea, as riding hard on rocky terrain comes with good odds of puncturing the sump or dealing other damages to the belly section. Wire spoke wheels, a massive front motor and radial Brembo brakes are, of course, great additions to the build. Not sure how well the G310R is suited for longer hauls, but a set of small side cases or at least, soft bags, could also do just well. We talked to BMW officials at Milan in November, but they were rather cryptic about the matter, but something tells us that BMW is planning a small-displacement GS or at least a dirt-friendly machine.